Douchebags of Grindr - We're obsessed! 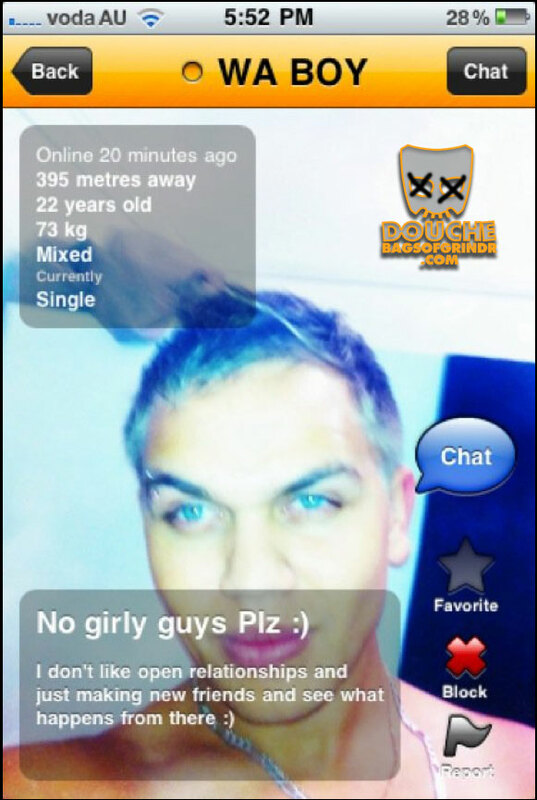 Douchebags of Grindr – We’re obsessed! We’ve been doing a little market research for a client lately by perusing through the profiles on Grindr and the like. It’s…well…it’s a lot of torsos and bad spelling. Which is why we were so thrilled to stumble across Douchebags of Grindr, a site dedicated to the worst of the worst men using the service. Check out some of our favorites below. What’s a douche to do?